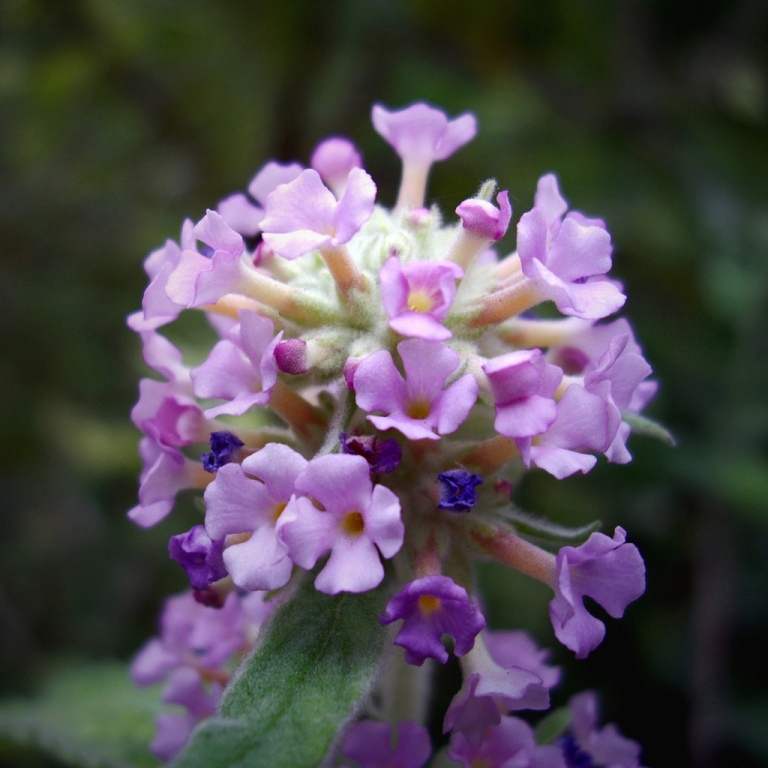 Buddleja – weed or valuable garden plant? Buddleja is one of those plants that divides opinion. I have a Buddleja davidii ‘Royal Red’ in my garden and I love it because it brings height and colour to the corner next to the shed and it also attracts insects and butterflies to the garden. But you often see them growing like weeds next to roads and railways and to some people this is enough to put them off. Why would you want a weed growing in a cultivated garden? 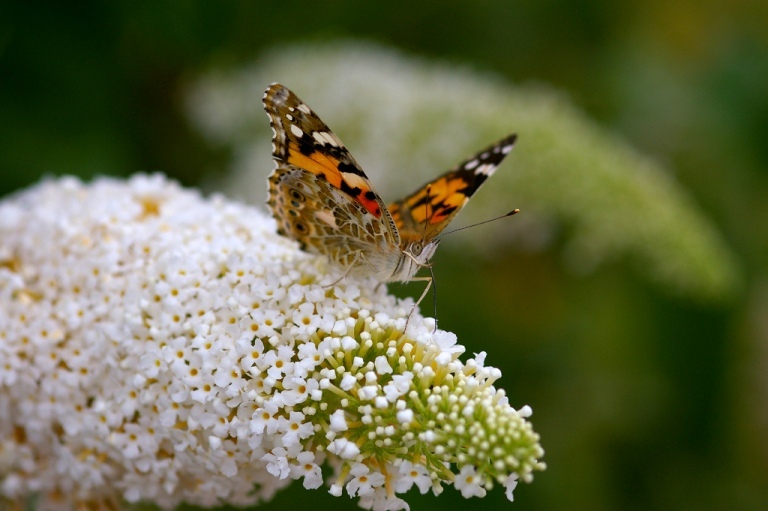 In my garden, the buddleja is one of the most reliable plants. I cut it back hard in early spring and, as if by magic, a month or so later the foliage comes back and by the middle of summer the long rich purple flowers are in full swing. I guess it’s not a very tidy plant and perhaps this is another reason why it’s not popular with some, but for an informal border it deserves every inch of space it takes up. The foliage lasts well into winter too. If you don’t like the “weeds” that grow along the railways then one of the other varieties may be more appealing…Buddleja crispa has a more busy habit and the flowers are scented. 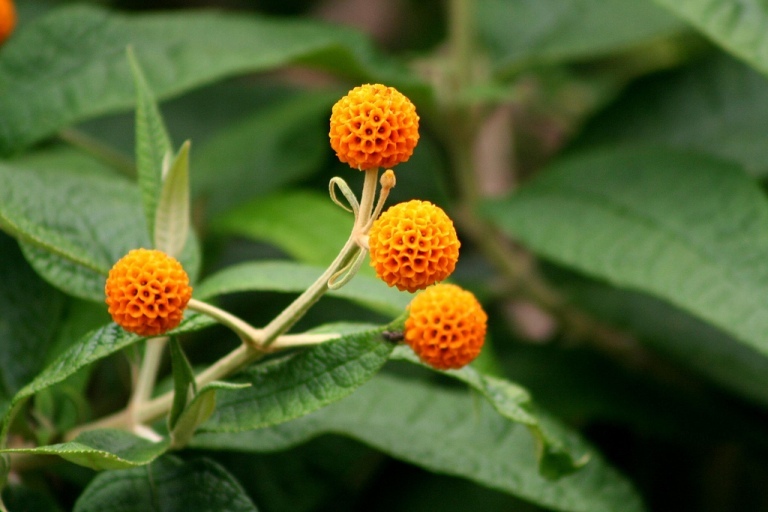 And Buddleja globosa is really striking with is orange ball-like flowers in early summer…. So, what’s your opinion? 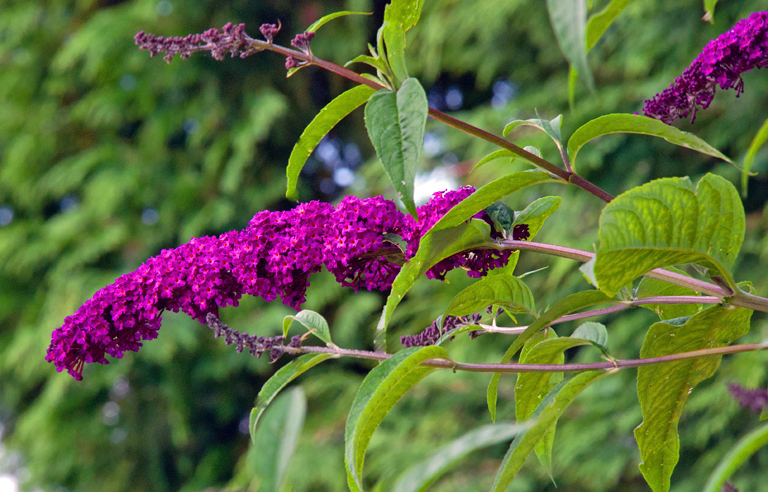 Is Buddleja a weed or a valuable garden plant? Fab plant, valuable resource to bees and butterflies. Shame most folk don’t manage them properly, letting them grow to 4 metre high monster plants. Oh and lookout for seedlings popping up all over the place! I have a B. globulosa in the garden which I will cut back and encourage to flower. But I think these are plants that should remain in gardens. I once attended a London Wildlife Trust confeence where there was a presentation on the benefits of “Buddleja woodlands” and I took issue with them over this. The ruderal communities that include this shrub are in no way as valuable to people or wildlife as the broadleaved and mixed woodlands that can be created on such sites. The transformation of slag heaps and other post-industrial landscapes shows that this can be done very effectively. Budds are great – but lets keep them where they belong. Absolutely – they need to be cut back hard to keep them in check! Thanks for your comments David – it’s certainly generated some interesting discussion!